Here is the good news. You can increase footfall to your town centre and create opportunities for sales and spending. 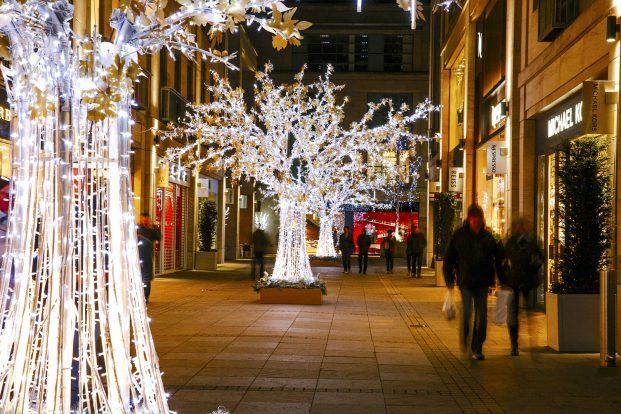 Visitors want to have diverse, modern and attractive areas to visit and elaborate Christmas light installations are a spectacular way to make town centre shopping exciting. 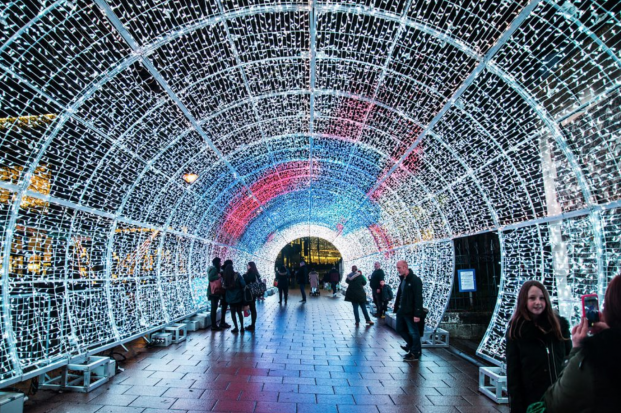 Planning changes such as shops opening later and alternative cultural events can work hand-in-hand with the draw for Christmas illuminations. Town centres have an important role in local economies and specific projects for town centre regeneration are key to revenue increases and retail growth. Town and city centres need economic growth to stay vibrant destinations and vital places for people to come together. Some Examples of Places that Do it Right! Every year Blackpool spends more than £2m on its illuminations and attracts over 3m visitors. The value to the local economy of the footfall for the Blackpool Illuminations is estimated to more than £200m each year. This is an installation with the WOW factor. The tunnel has had an overwhelming reaction from visitors and locals, with over a million views of the BBC coverage on Facebook. There was a 2.5pc increase in footfall, with over 10,000 visitors on the first night alone. This project was part of the Business Improvement District scheme, which offers practical solutions to the improvement of town centres and helps local businesses to play a greater role in bringing new life and revitalisation to the high street.